Poor Tim's formation was a fluke occurrence – something that might not have happened, but did. It was just another night, in just another restaurant. Lead Singer Justin Smithson was performing with his band. Backing vocalist Shawn Smith was working as a waiter. Then, suddenly, Smith felt inspired and decided to approach Smithson. He asked to play his guitar. And from there, the rest is history. Today Smith and Smithson tour the college circuit and perform in front of always pleased audiences across the nation. 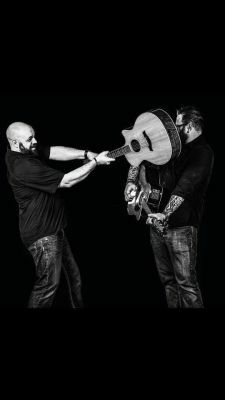 They combine their talent and their charisma to bring audiences a folky-rock blend, featuring hits from Chicago, Dave Matthews Band, John Mayer, and everything else in between. •Smithson has also performed with artists associated with: Billy Joel, James Brown, John Cougar Mellencamp, and Pink.